By calling on years of mobile disco experience, you can rest assured that you're in safe hands when booking with Mike Andy Entertainments. We pride ourselves on our friendly, professional yet flexible attitude to our work and we want your event to be as much of a success as you! Mike Andy Entertainments is proud of the reputation that it has gained as a professional mobile Disco company in the last 30 years. 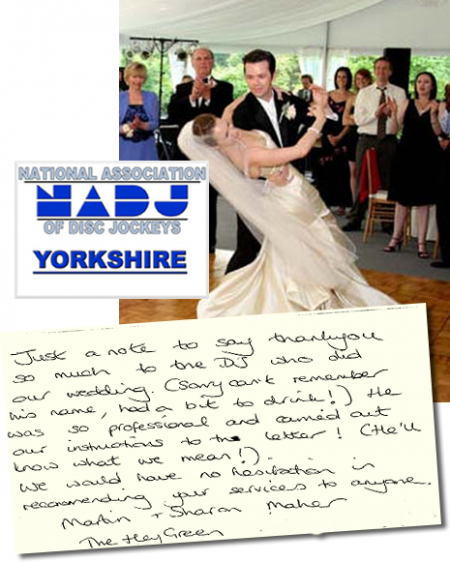 Having played at a number of Yorkshire's prestigious venues. We have vast experience from many years of performing at Weddings, Birthday celebrations, Anniversary parties, School Proms and Corporate functions.